Bajau Laut have been living in the Sulu Sea in the southwestern parts of Philippines for centuries. 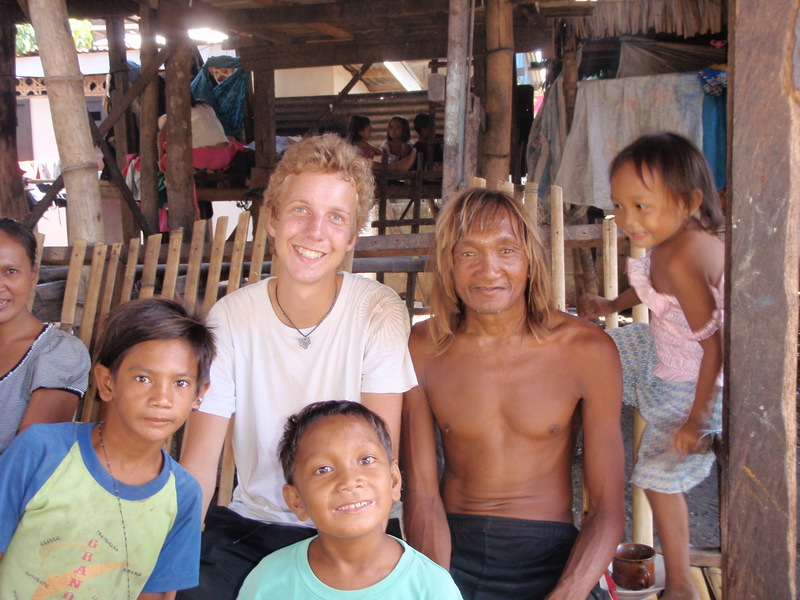 Historically they were sea nomads, but today a majority live on stilt houses along the coastlines. Due to conflicts and piracy in the Sulu Sea many Bajau Laut have fled to the central and northern parts of Philippines. Today you can find Bajau Laut in coastal pockets all over Mindanao, and in big cities as Cebu, Tagbilaran, Iloilo and Manila. Many Bajau Laut have become refugees in their own countries, and they live in poor conditions. In big cities like Cebu and Manila almost all corall reefs have been destroyed, forcing Bajau Laut to beg or work as street vendors. They are also seen as uncivilized and dirty, and they can hardly find a regular job. Very few Bajau children attend school and in many Philippine harbours you can see Bajau children diving for coins thrown by tourists and ferry passengers. The Bajau Laut is said to be one of the most marginalized indigenous groups in the Philippines. The anthropologist Clifford Sather has stated that “the Badjao, as a sea people, have tended to be marginalized, excluded from positions of power, despised, and confined to the lowest rungs of the social ladder” (Sather in Bottignolo 1995: 23). Ever since the invasion of the Spanish conquerors (1600s -1900s) and the Americans (1900-1950) the southern Philippines has been troubled. Throughout the history native Muslim tribes (including some Sama tribes) have fought against the colonial powers, and some parts were never fully controlled by any colonial power. In Mindanao and in the Sulu Sea there are still active Islamist separatist groups fighting for an independent Islamic Province in Mindanao. One of these group is the infamous terrorist listed group Abu Sayaff which has carried out several assassinations and kidnappings throughout Mindanao and the Sulu Sea. They are fighting against the Armed Forces of Philippines and raise money through kidnapping and piracy (Alamia 2005, Kerry Lynn Nankivell/James Boutilier 2007: 116-125). There are also intense conflicts between different tribes and clans in the region. For example, we can mention the Maguindanao massacre inMindanaoin November 2009 when 58 people (including 34 journalists) were killed in a caravan attack. The victims were on their way to file a certificate of a political candidate when they were kidnapped and brutally killed (Jimenez-Gutierrez 2010). The rebel group who carried out the massacre belonged to a powerful family clan claiming royal ancestry and have been struggling for power in Maguindanao for centuries. The Maguindanao Massacre is the largest massacre of journalists ever and the killings got huge attention around the world (Jimenez-Gutierrez 2010). Bajau and most other Sama groups have not participated in these conflicts, but they have suffered from them (Pallesen 1985, Nimmo 2006). The last decades they have been victims of piracy and open violence and the discrimination from other groups has been intensified (Nimmo 2006). With no overall security Bajau have been easy targets for well-armed rebel groups, hostile neighbours and insurgent groups that use piracy as a kind of fund-raising. For a long time Bajauo have been displaced by more dominant Muslim tribes as Tausug, Maranao and Maguindanao (Pallesen 1985, Nimmo 2006). There are even rumours of pirates throwing fish bombs into Bajauo’s houseboats. Bottignolo, B. (1995) Celebrations with the Sun: An Overview of Religious Phenomena among the Badjaos. Manila: Ateneo de Manila Press. Nankivell K. L., & Boutilier, J. (2007): South East Asiaand Global Terror, in: Christopher Ankersen (ed.). pages 111-129. Understanding Global Terror, Cambridge: Polity Press. Nimmo, H. Arlo. (2006). Magosaha: An Ethnography of the Tawi-Tawi Sama Dilaut. Honolulu: University of Hawaii Press.